Caplan Bankruptcy and Family Law Firm > Blog > What to Do If a Creditor is Harassing You? What to Do If a Creditor is Harassing You? When you have significant debts, it can feel overwhelming and confusing at the same time. Unfortunately, many creditors take this opportunity to harass debtors as soon as a payment is missed. This adds further stress to what is already a challenging financial situation. Filing for bankruptcy in Florida, however, can help to stop this creditor harassment. Communicating with your family so often that it may be constituted as abuse. 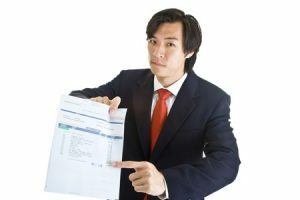 Communicating or threatening to communicate with your employer without your express permission to do so. Pretending to be a government agent or law enforcement officer. Contacting you between 9pm and 8am. Creditors can take other steps in order to get you to pay such as filing a lawsuit against you and receiving a wage garnishment. In the event that you wish to stop creditor harassment altogether, filing for bankruptcy in Orlando may be your best option. Chapter 7 bankruptcy allows you to have an automatic stay put on the majority of your collection attempts. This can last for several months. It is important to consult with an experienced attorney if you find yourself in this position so that you understand your rights and responsibilities going forward should you choose to file bankruptcy. Don’t wait to get help if you find yourself facing increasing harassment. Often creditors will cross the line, counting on the fact that you are not familiar with your rights. Too much is on the line for your future when you are considering bankruptcy- make sure you take action to talk to a lawyer sooner rather than later.